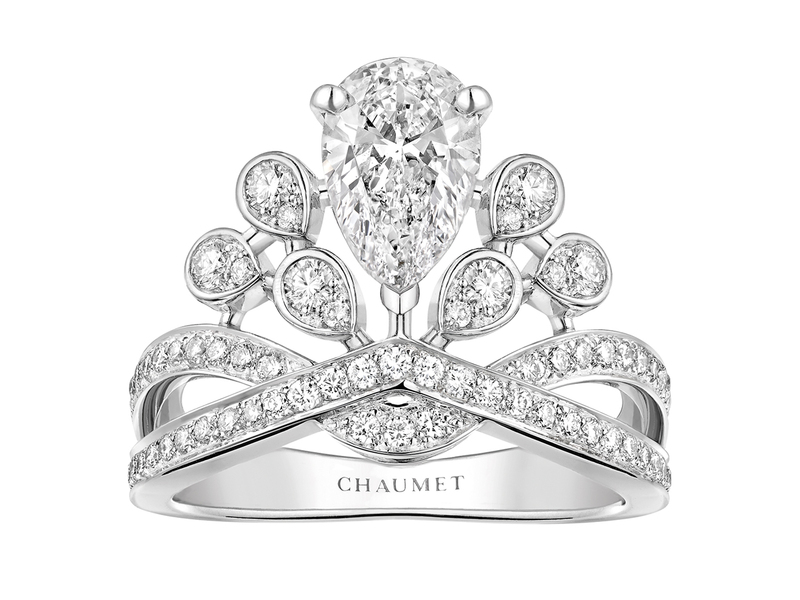 Chaumet has always been famed for its iconic tiaras, with everyone from Empress Josephine (wife of Napoleon) to more recently Angelababy and Taeyang’s wife donning it for their nuptials. In fact, the tiara is so synonymous with this storied French jeweller that even its logo is a tiara, with a C topping the crown. 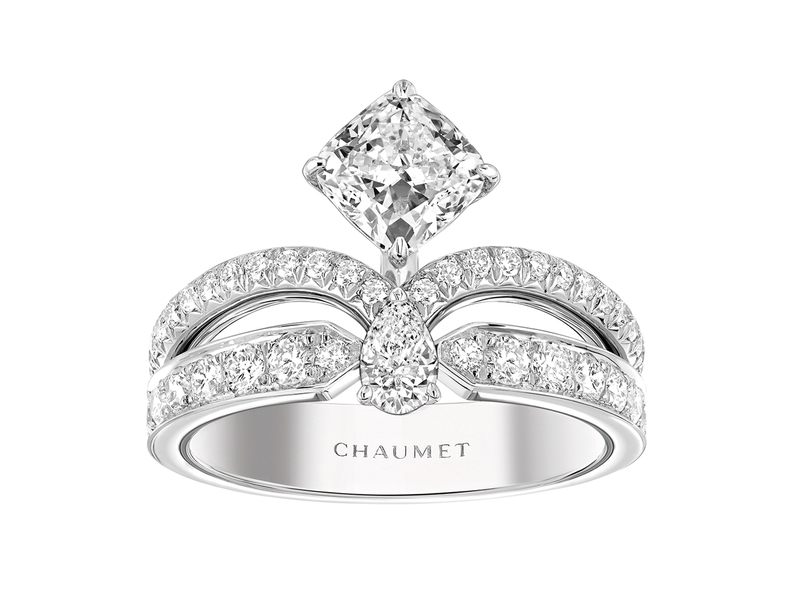 But because not everyone can carry off an actual tiara, Chaumet’s beautiful Joséphine collection is the perfect collection, one that’s made up of engagement rings and wedding bands that are not only modern and contemporary, but with enough old-world charm to sit most fittingly on your finger. Consisting of four categories that feature lush designs with beautifully placed diamonds, the Aigrette features a pear-shaped diamond with a V-shaped body that’s every bit chic. Fan of more is more? The Aigrette Impériale takes it up a notch, with even more diamond-drops surrounding the central pear-shaped diamond, capturing the essence of a ‘tiara on your finger’ to true perfection. 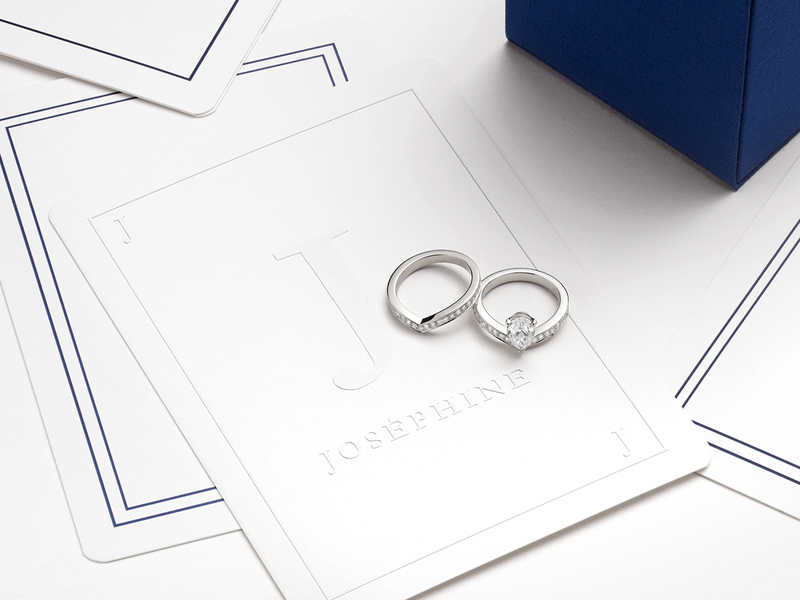 Rounding up the Joséphine collection are two others that are equally gorgeous, with the central diamond being the standout element. The Eclat Floral features a cushion-cut diamond that’s set to look a blooming flower (and hence the name), whilst the Aube Printanière’s pear-shaped diamond, on the other hand, comes set on a ring that’s made to emulate a shimmery dew-drop. And that’s not all. You can even personalise your very own ring with the all-new Crown Your Love service. It’s an initiative where couples can come together to create a personalised engagement ring in 3 steps. Start by choosing a style, before choosing your cut (for example, pear-shaped or cushion-cut diamonds) and then your carat weight before the final ring is customised especially for you. 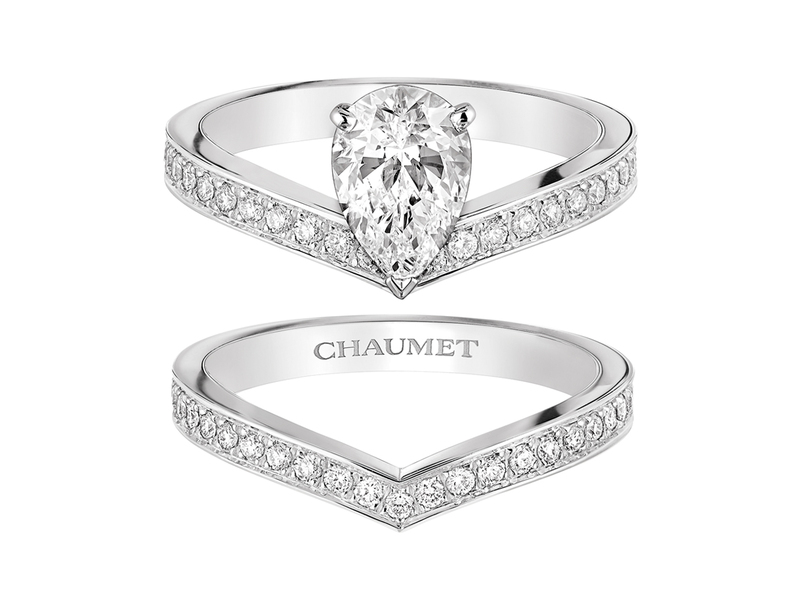 In other words, you might not be royalty but you can sure feel like a Princess with Chaumet from this day forth. What is the quality of the pear shaped diamond (1.50 ct) ring? Do you offer a certificate, and if so, which one? Also. what is the price of the ring? 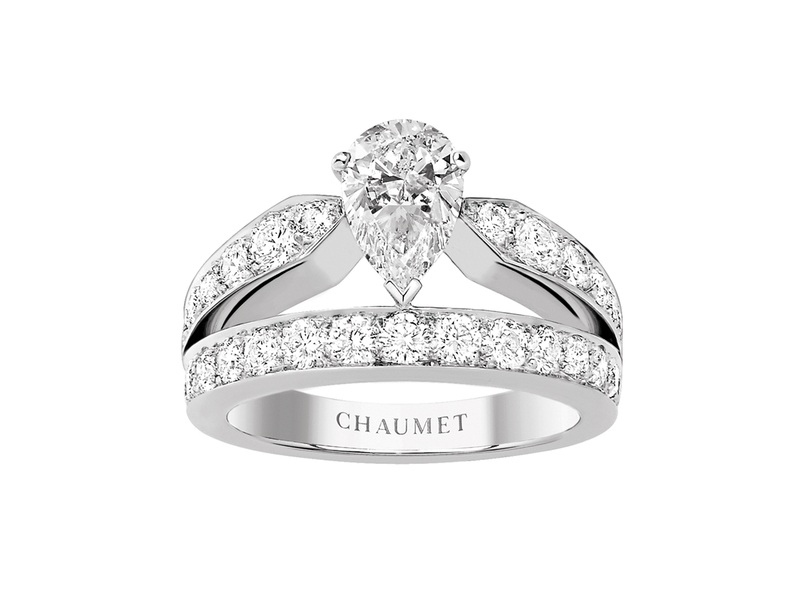 I don’t sell anything here, please check directly Chaumet on this.